Two top White House leaders have come out in support of marriage for gay and lesbian Americans. 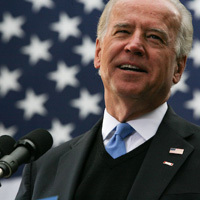 This Sunday on Meet the Press, Vice President Joe Biden said he supports marriage rights for gay and lesbian Americans. Then, this morning, Education Secretary expressed his support on MSBC’s Morning Joe.